"Humana is pleased to honor the BIAS Corporation for the considerable time and energy dedicated to make wellness a priority, building a culture of well-being that will help employees live healthier lives"
ROSWELL, Ga.--(BUSINESS WIRE)--BIAS Corporation, a leading global IT systems integrator and Oracle Platinum Partner servicing commercial and public sector clients worldwide, has been honored with a Total Health Thriving Together Award for achieving one of the best wellness engagement rates in the country. 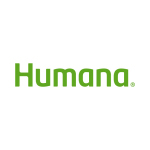 The award from Humana Inc. (NYSE: HUM), one of the country’s leading health and well-being companies, is a national honor recognizing companies, like BIAS Corporation, for engaging their employee workforce in a culture of health and well-being. Launched in 2015, Humana has presented the award to more than 40 companies across the nation. BIAS Corporation engaged more than 80 percent of its employees and family dependents in Go365®, a wellness and rewards program that helps individuals focus on personal health and well-being. Company engagement in the Go365 program included the launch of BIASFit, a wellness program led by a group of employees, to encourage the company’s workforce to initiate or expand healthier lifestyles through various wellness programs and activities. BIAS organizes multiple fitness initiatives for employees throughout the year including its Spring Global Fitness Challenge which asked employees to accumulate enough “steps” to walk from the BIAS headquarters in Atlanta to Hawaii. Humana’s Total Health solution provides a full partnership with employers to improve well-being through Humana’s wellness and rewards program, Go365, designated engagement resources, and a multi-year agreement that gives the opportunity for the company to receive a wellness discount based on achievement. Humana has found that companies that combine Total Health and Go365 with a standard medical plan experienced eight times higher wellness engagement of employees. Through a three-year claims and productivity study, Humana found that engaged members’ health claims costs were 10.1 percent lower by Year 3. Unengaged members’ healthcare costs gradually rose by 17 percent from Year 1 to Year 3. Humana’s Total Health has saved employers more than $21 million through engagement discounts since 2013. More than half of Total Health groups receive a wellness discount in their first renewal year, which increases to more than 70 percent of groups upon their second renewal in the program. BIAS works closely with Oracle Development, Product Management, Support, and Sales to build and deploy high performance enterprise business solutions in addition to providing clients with cost-saving managed services for turnkey systems management. For more information on BIAS, please visit the company’s website at www.biascorp.com.